Lindsey Buckingham is widely considered one of the greatest guitarists and songwriters and musical expressionists of our time. A Rock and Roll Hall of Fame inductee and 3 time GRAMMY winner, Buckingham is best known as the producer, guitarist, vocalist and chief songwriter for Fleetwood Mac and as a widely celebrated solo artist.His forthcoming Solo Anthology – The Best of Lindsey Buckingham is a comprehensive record of this illustrious career. Out October 5th on Rhino Records, Buckingham’s Solo Anthology will be released as a3-disc set on CD and digitally and will also be available as a single disc abridged release. A 6-LP vinyl release is slated for November 23rd. The album is available for pre-order now. Buckingham will be performing at the Warner Theatre in DC on October 19th! Tickets can be purchases through Live Nation, click HERE to purchase tickets! On Tuesday, October 9th, the gifted singer/songwriter/guitarist Doyle Bramhall II will perform at Rams Head On Stage in Annapolis, fresh off the release of his new album ‘Shades,’ his dramatic debut for Mascot Label Group. The album comes hot on the heels of Bramhall’s 2016 critically acclaimed fourth record, Rich Man, his first solo album in 15 years. Arena Stage at the Mead Center for American Theater announces casting for Cole Porter’s madcap seafaring musical, Anything Goes, with music and lyrics by Porter; original book by P.G. Wodehouse and Guy Bolton, with co-authors Howard Lindsay and Russel Crouse; and new book by Timothy Crouse and John Weidman. Featuring some of musical theater’s most memorable standards such as “I Get a Kick Out of You,” “You’re the Top” and the title song, Anything Goes is directed by Molly Smith, with choreography by Parker Esse and music direction by Paul Sportelli, and will run November 2-December 23, 2018 in the iconic in-the-round Fichandler Stage. On Tuesday September 4th, I saw Chris Isaak in concert at one of my favorite concert venues in the area, The Maryland Hall for the Creative Arts. I have been a fan of Chris Isaak since as with a lot of people, his song “Wicked Games” in the David Lynch movie of the same name. Chris Isaak has an amazing voice. He has been compared to a few of my favorite artists of all times, Roy Orbison and Elvis Presley. I love the beautiful, yet eerie at times voice of Roy Orbison. 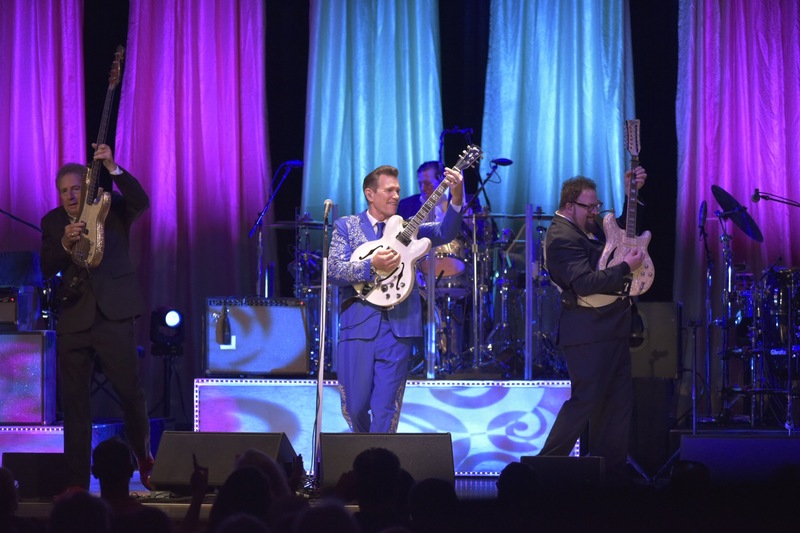 Not many performers can sing in the manner of Roy Orbison, but Chris Isaak sure can. He also is great with Elvis’ songs, not as great as Roy’s songs in my opinion but still very good. But Chris Isaak covering Roy Orbison or Elvis songs is not the reason I like Chris Isaak. He is a masterful songwriter. He has written hit songs for other artists and has had good success with his music doing well also. 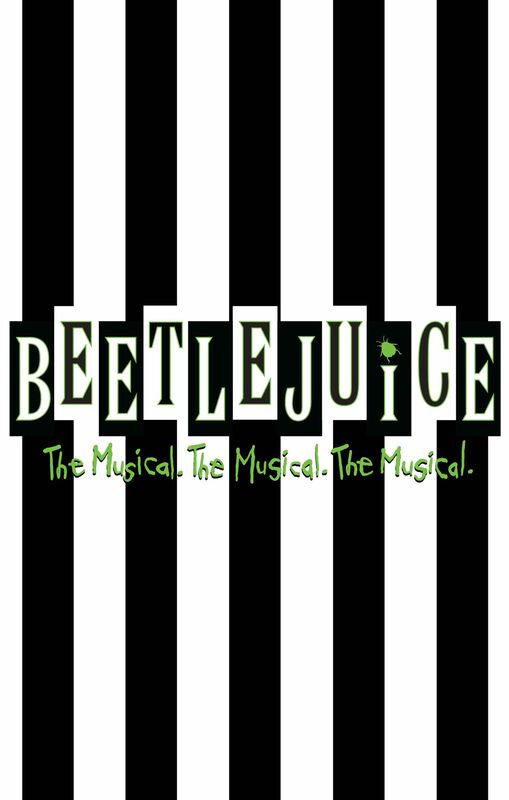 Casting for the pre-Broadway world premiere of the new musical comedy BEETLEJUICE, coming to Washington, D.C.’s National Theatre for a 5-week limited engagement from October 14 thru November 18, 2018, has been announced. Dave Mason and Steve Cropper concert revue! Dave Mason and Steve Cropper and a night of rock and soul classics! On Saturday August 25th, Dave Mason and Steve Cropper performed at the Baltimore Soundstage. Opening the night, the Dave Mason Band, sans Dave Mason and Steve Cropper came on stage to warm up the crowd. As one of them said, they really needed to warm us up since they had the AC cranked down to 65. It was cool, but not bad. Once the stage lights came on and the band started to play, that changed quickly! Dave Mason’s band, played for about 30 minutes to warm up the audience. The resume of the Dave Mason band is impressive. “Greenleaf”is set to return for a third season, beginning with a two night premiere, August 28th and August 29th. Actress-singer Asia’h Epperson stars on the program as Tasha Skanks, wife of Pastor Basie Skanks. Epperson also stars in the upcoming biopic “The Bobby Brown Story,” where she appears as Bobby’s former girlfriend, Kim Ward. I had a chance to speak with Asia’h and ask her about her experiences in filming “The Bobby Brown Story” and her thoughts on the upcoming season of “Greenleaf”.